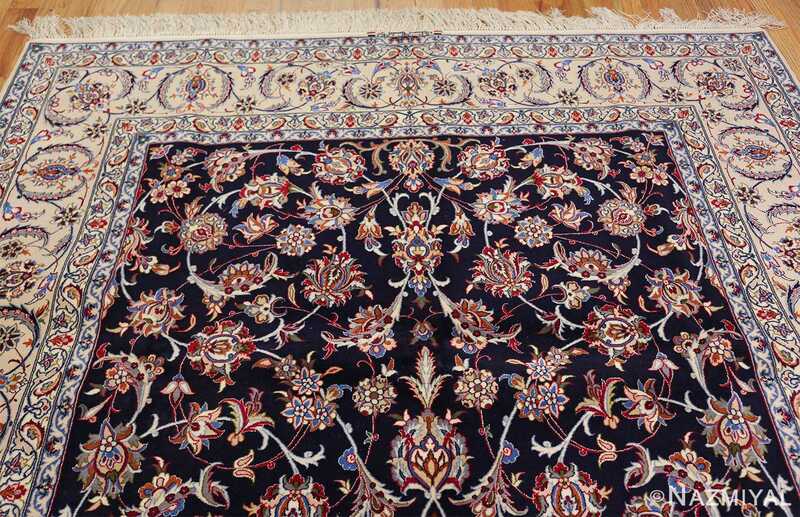 Beautiful Navy Blue Background Silk and Wool Modern Persian Isfahan Rug 49534, Country of Origin / Rug Type: Modern Persian Rug, Circa Date: Late 20th Century – A handsome and elegant modern carpet, this silk and wool rug is a stunning example of the all over floral Persian Islimi rug design. 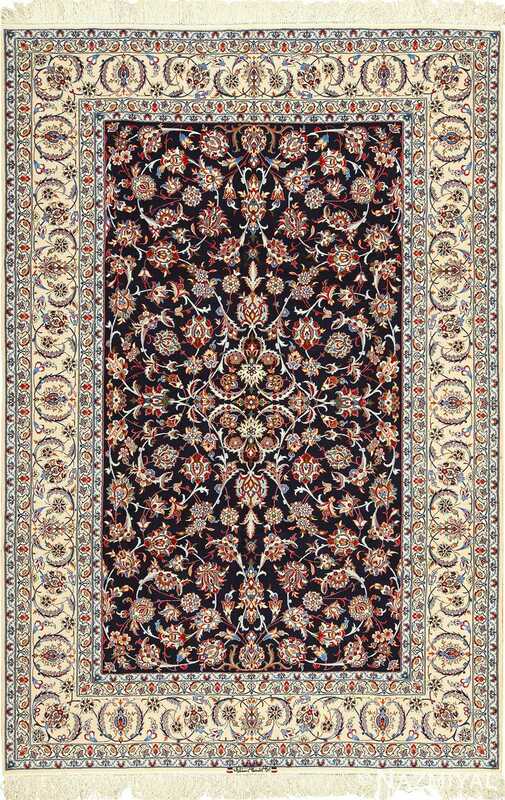 Both border and field of this beautiful Persian Isfahan rug are dominated by the beautiful arabesques that seem to spin, spiral and meander. 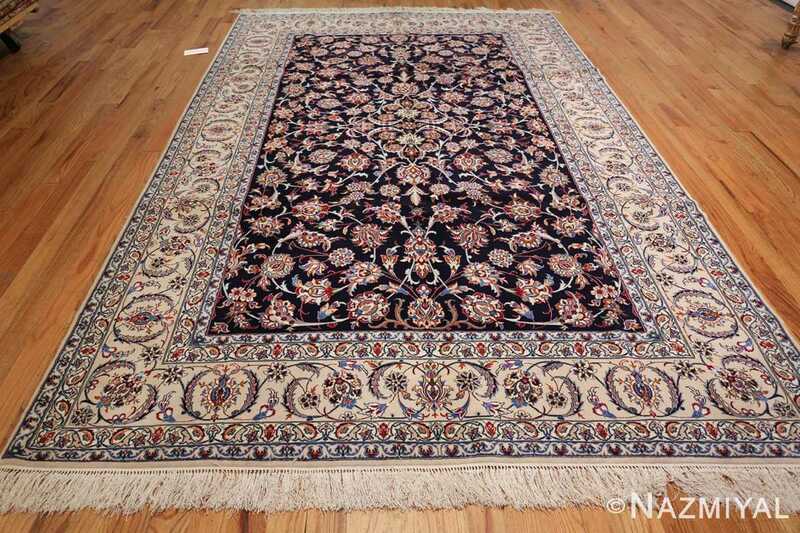 This creates an elegant lyrical movement throughout this beautiful modern contemporary Persian rug. 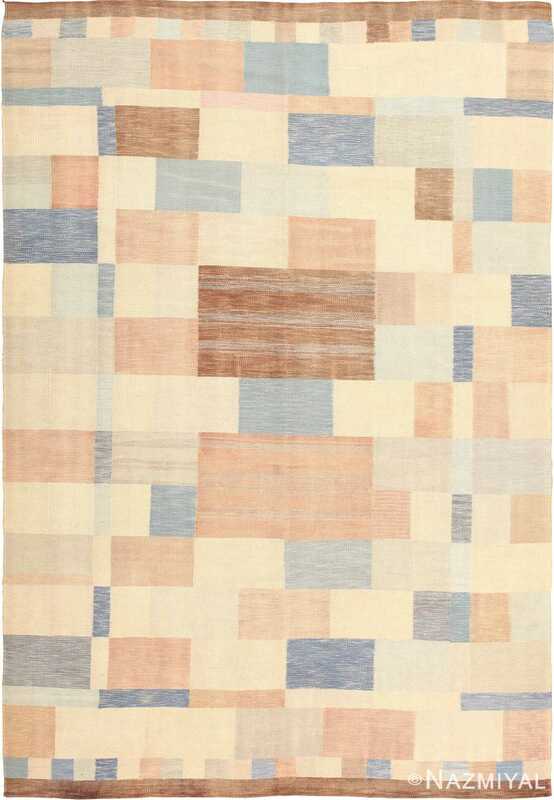 The dancing interconnected web of white colored vines are accentuated with an outline of light blue. 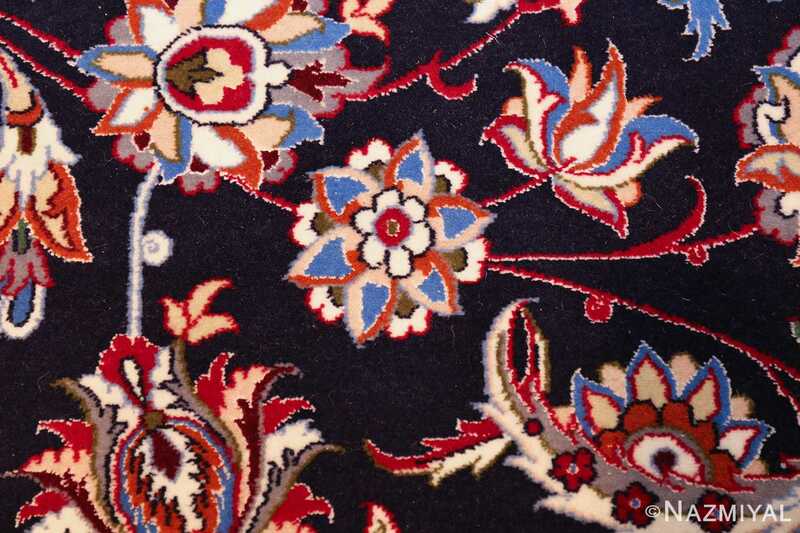 This combination creates a beautiful juxtaposition against the darker navy blue background color of the field. 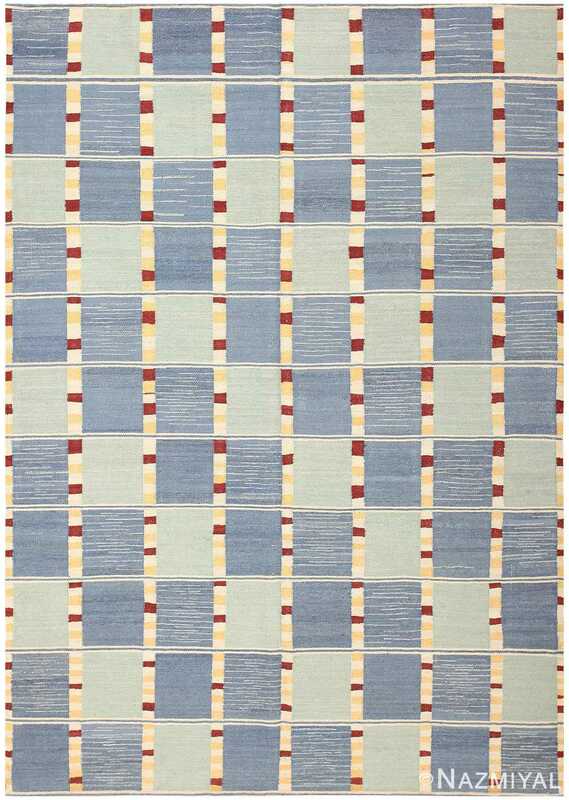 This play of opposites is echoed again in the reversed coloration of the border and field colors. The light ivory colored border frames the darker blue colored field in the most perfect and harmonious way. 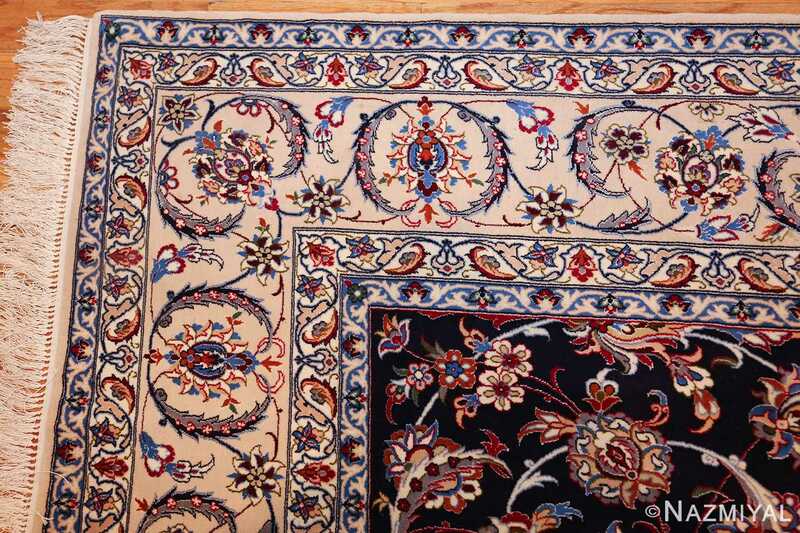 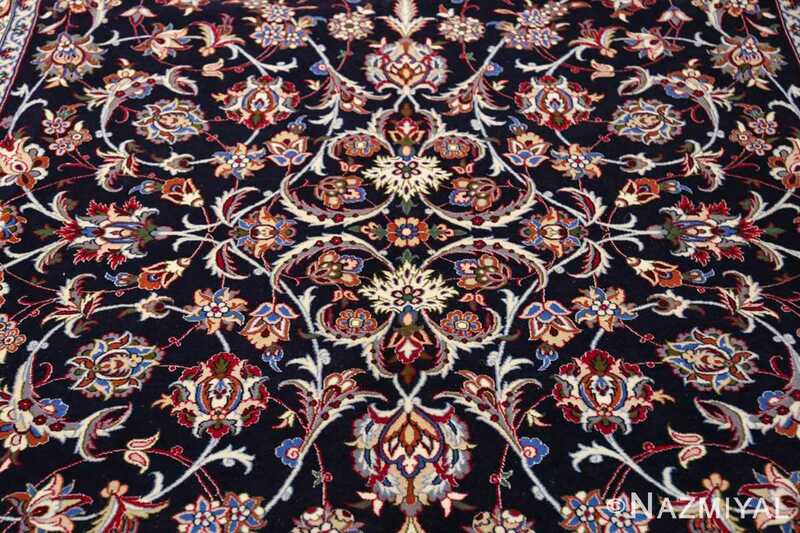 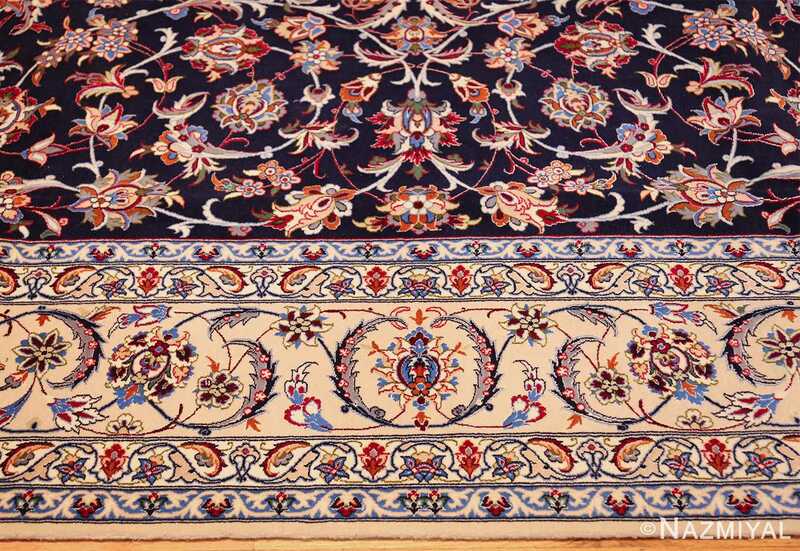 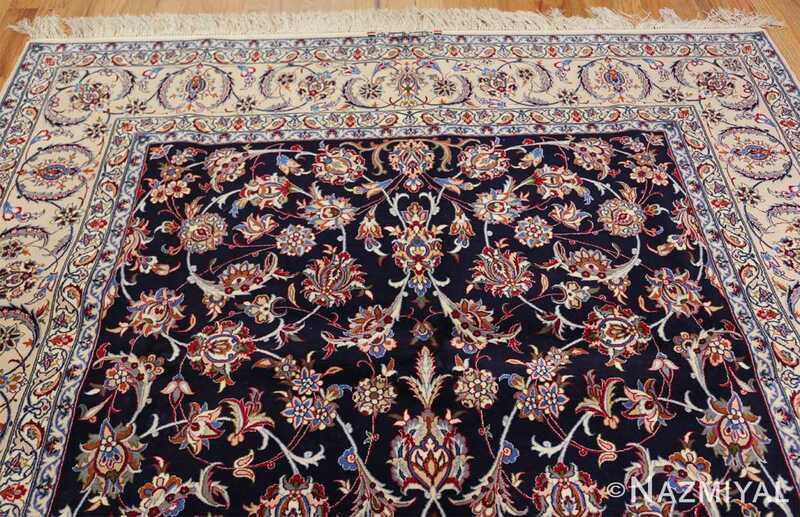 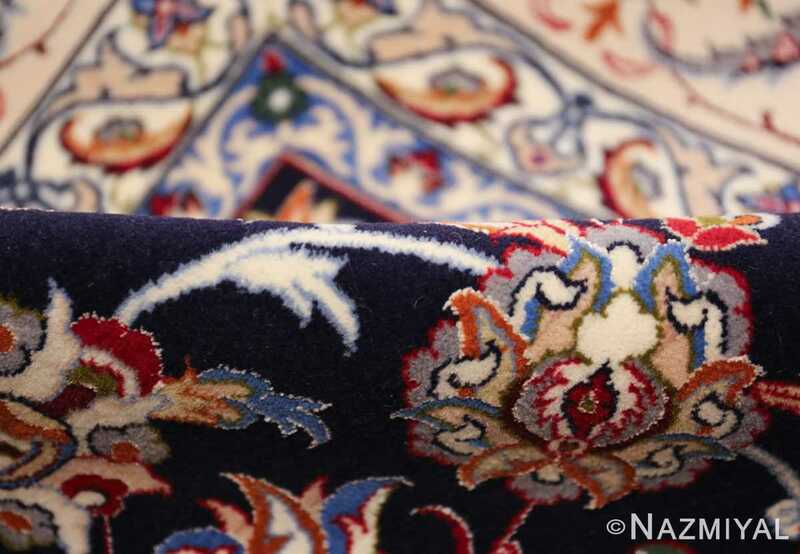 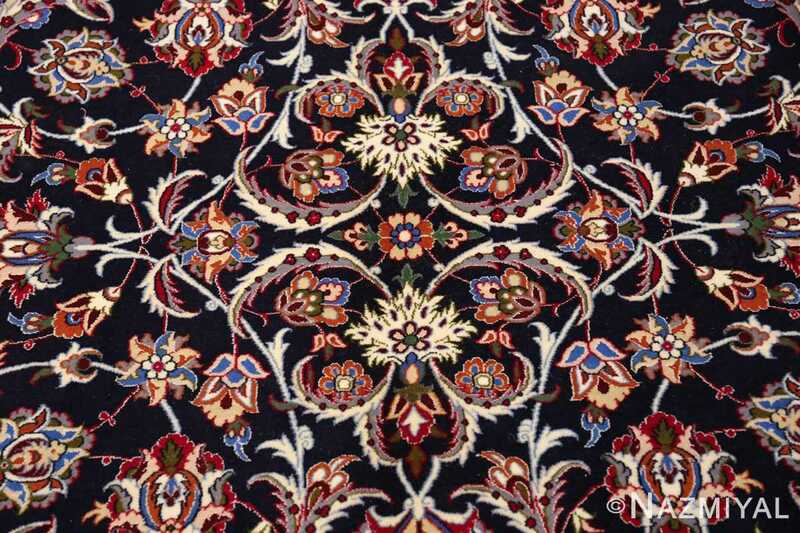 The beauty of this magnificent modern silk and wool Persian Isfahan rug is most noticeable in its quality and colors. 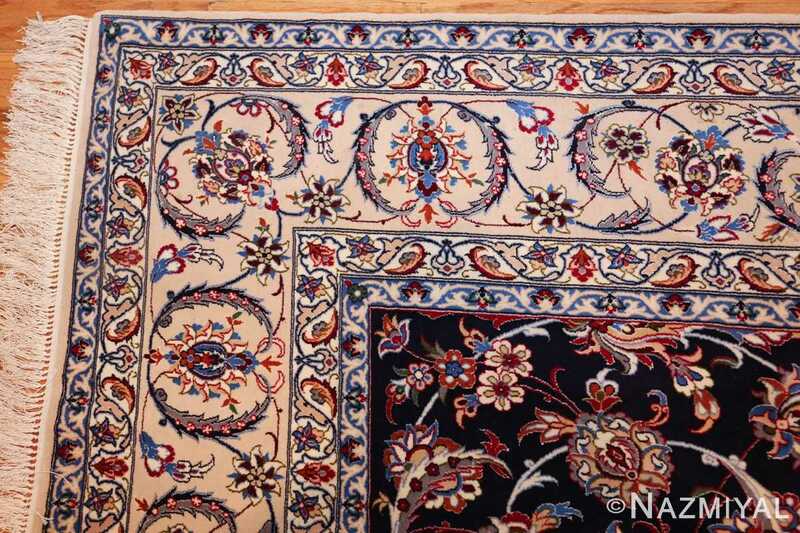 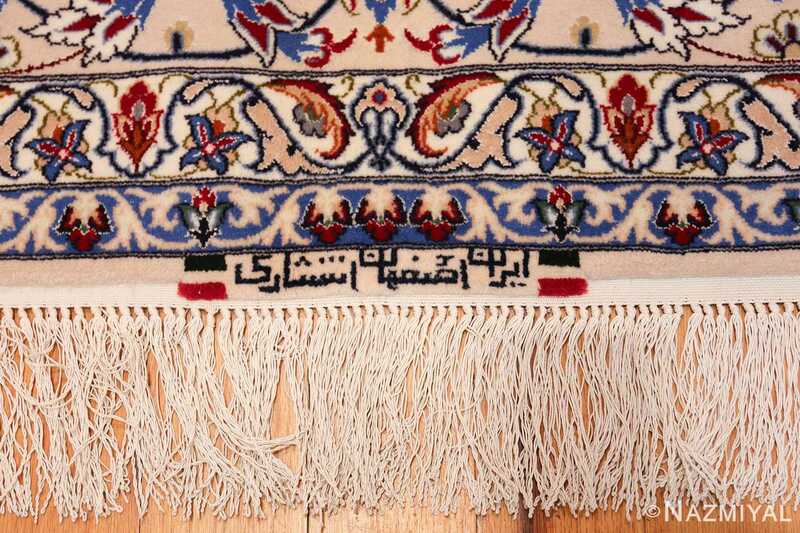 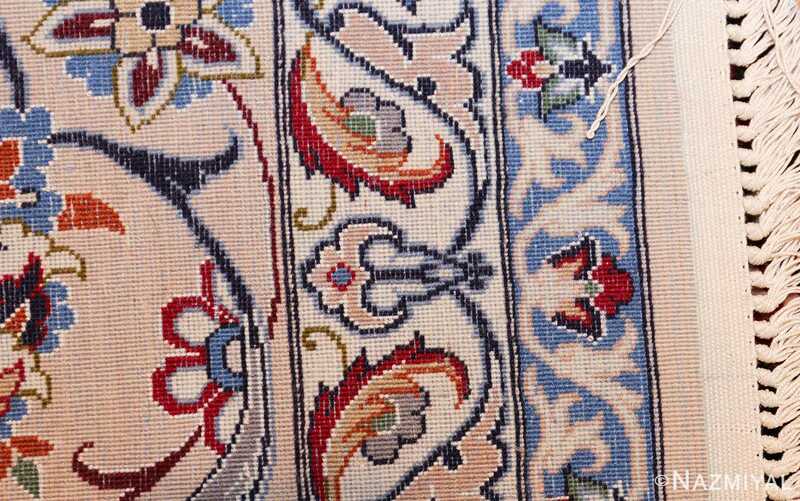 One does not need to be a big antique Oriental rug maven to be able to feel just how much time and effort went into creating this magnificent work of textile art. 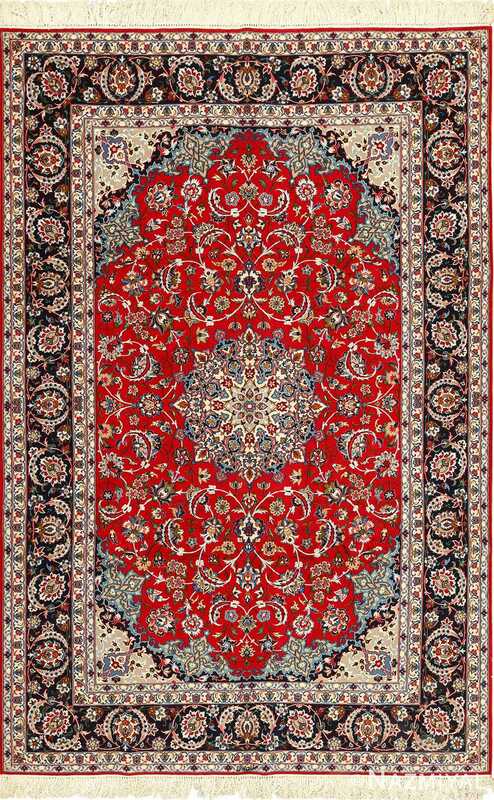 Without a doubt, this is one exquisite modern Persian Isfahan rug that would be an easy choice for almost any interior design.